Both the helmet and customer service are works of art. This helmet is exactly what I have been waiting for.Its beautiful and so light weight which is perfect for my sweltering home state.My helmet just enhances my new Harley Sport Glide.I also can’t say enough about Ashley and customer service that quickly and kindly worked to correct my sizing mistake while maintaining a great sense of humor.Thank you all so much for enhancing an already excellent product.I sing your praises. Super nice looking helmet and very comfortable. Fits and feels perfect! I look great. The weight is about 1/3 of my previous helmet. 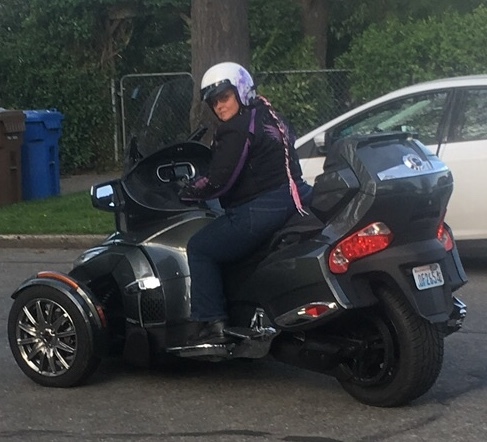 I purchased this helmet for my wife and she really loves it. Good looking, good quality, and comfortable light. Hi Luis! We're happy to hear that she loves it :) Happy Riding! Perfect Pinky Fit *** The Bobber 501 is now available in our Matte Pink Curvy graphic. Get trendy with this new easy to wear design when you hit the road for 2017. The Pink on Matte Shell gives a rider a clean but cool look while they ride. This helmet has 3 shell sizes, so it is a perfectly proportioned fit for our petit ladies going down to the XS sizes. The new Bobber 501 is the ultimate old school cruiser helmet. Our slim shell and lightweight design makes this helmet the best choice for you in its category. Offering fuller protection with a fibreglass shell, the Bobber 501 is a safe choice for the road when comparing to any ABS alternative. Our Bobber 501 has premium features like our micro metal quick release ratchet system, removable earpieces, liner made with our ultra soft microfibre material, and a shell that weighs in under 2 lbs. Expect an ultra comfortable helmet that has a slim head shape look. The Bobber 501 ranges in size from XS to XXL. The helmet is a little tighter, so if you are in between sizes, we suggest to size up.